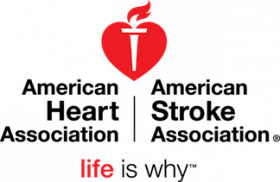 The American Heart Association (AHA)/American Stroke Association (ASA), selected over the last six years as one of the best Noanprofits to work for (#3 in 2015) has an excellent opportunity for a Temporary Customer Care Representative in our National Engagement Center office located in Richardson, TX . This temporary position will last approximately two - four months. The hours of operations are 9AM-6PM, Monday-Friday. The hourly rate of pay is $15.00 an hour. Make routine outbound calls to thank donors, welcome volunteers, assist with events such as Heart Walk, youth activities or advocacy issues. Follow up on previous calls to maintain an ongoing support relationship. Use multiple software programs for tracking contact information and interactions. Positively respond to customer requests on AHA/ASA programs and promote our mission by engaging and cultivating all customers through healthy-living email messages. Provide information to develop and change the customer’s mindset and behaviors regarding cardiovascular disease and stroke with a focus on building relationships, thereby increasing customer satisfaction and loyalty. Respond to customer inquiries by referring them to published materials, secondary sources, or more senior staff, as well as processing online donations (general, tributes, and/or memorials) for customers. At least six months customer interaction experience including managing accounts/clients and demonstrating strong customer satisfaction focus. The ability to multitask by simultaneously navigating several software programs and the Internet is required. Exceptional communication skills, both verbal and written, including typing accuracy. Critical thinking and problem-solving skills to delight our customers. Interest and knowledge in health, fitness or nutrition. Familiarity with medical terminology and pronunciation. Knowledge of the American Heart Association and the American Stroke Association. The American Heart Association's mission is to build healthier lives free of cardiovascular diseases and stroke, America's No. 1 and No. 5 killers. Founded in 1924, our organization now includes more than 30 million volunteers and supporters. We fund innovative research, fight for stronger public health policies, and provide critical tools and information to save and improve lives.